One thing we hear over and over from those who come through our doors searching for a job is that they feel totally neglected by staffing agencies they’ve worked with in the past, that the staffing agency simply sees them as interchangeable cogs in a machine. At OpSource Staffing, we don’t just care about a company’s bottom line — we care about you. Our Traditional Staffing Services, focused mainly on industrial staffing needs, helps job-searchers to locate not just a signature on a paycheck, but a whole new career. Whether you’re looking for work in manufacturing, construction, forklift operation, or you’re interested in other industrial job openings, we might have the perfect fit for you. 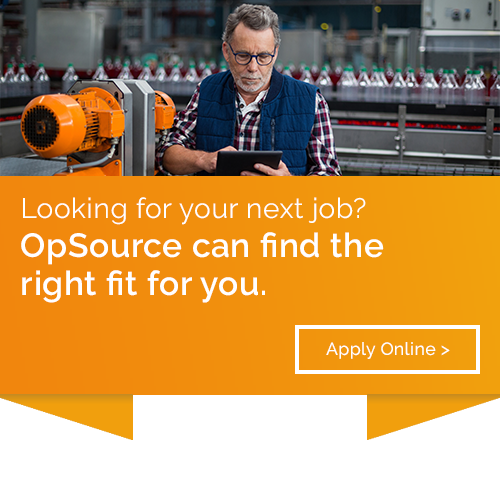 Job openings with OpSource Staffing run the full scale from just a few days of truly temporary work, to temp-to-hire positions with longer-term prospects, to direct hire positions that become permanent employment. Certified welders and other skilled tradesmen can find job openings to suit their experience and certifications as well. OpSource offers job openings for skilled trades in South Carolina and throughout the nation. Take a look at current work availability for traditional staffing needs. Whether you’re searching for short-term work or hoping for a longer-term career, OpSource Staffing is ready to help you find the job you’ve been dreaming of. Reach us by phone at (866) 870-8133 or click here to see our office locations and contact us online to apply.